The under-14 national girls’ football team defeated Kyrgyzstan 2-1 in their opening match during the AFC under-14 regional girls tournament, yesterday. 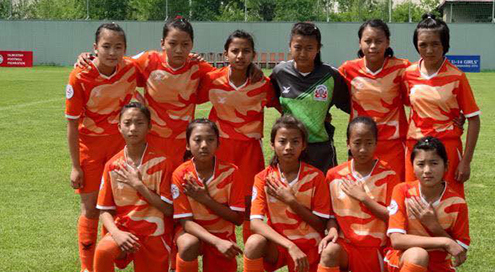 Sonam Choden and Chimi Wangmo scored for Bhutan. Bhutan is placed in group A along with Kyrgyzstan, Iran, and Tajikistan. Bhutan will play against host country Tajikistan, today. Bangladesh, Bhutan, India, Iran, Kyrgyzstan, Nepal and Tajikistan are taking part in the tournament.